← Take me to London! I blogged last week about a very British find at Whole Foods Market. 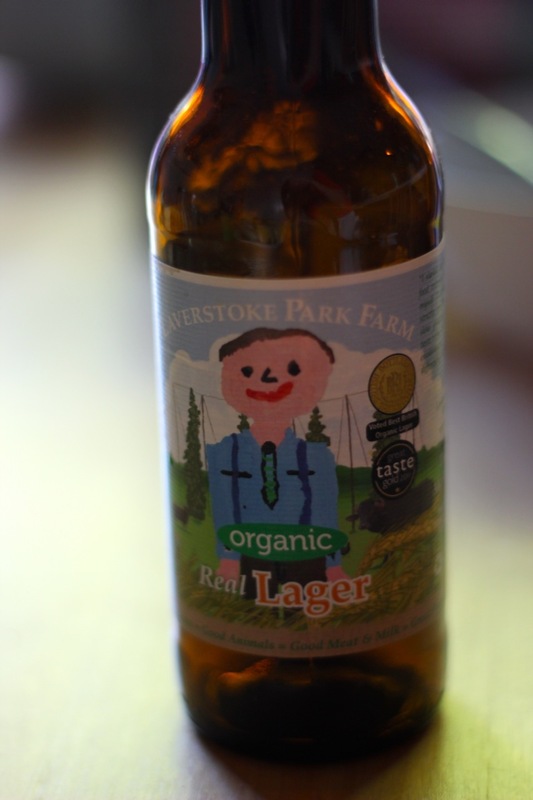 Well, I have another discovery to share: Laverstoke Park Farm Organic Real Lager, made in Basingstoke, near Hampshire! We bought some on our last weekly shop and I wasn’t sure what to expect (it’s not often you see a child’s drawing on a label advertising beer!) but it turns out that it is truly a great lager. Not too light, not too pissy (ahem, Coors…). Just refreshing with some body and flavor! Best of all, it’s British and organic! Superb! Posted on 24, September 2012, in Drink and tagged beer, British, drink, Laverstoke Park Farm, organic ale. Bookmark the permalink. Leave a comment.